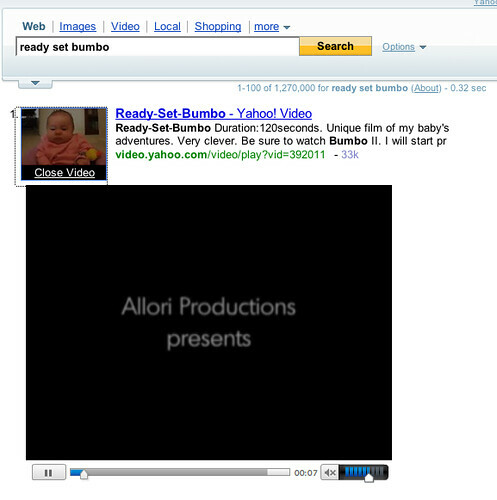 Yahoo has announced they have revamped their search interface with a from "to do" to "done" approach. Basically, they have launched Search Assist, something they have been demoing for a while and revamped how multi-media is represented in the search results. My only complaint is, where is star wars kid video? If I am searching for the star wars kid, I suspect to get a video, Google gives it to me. 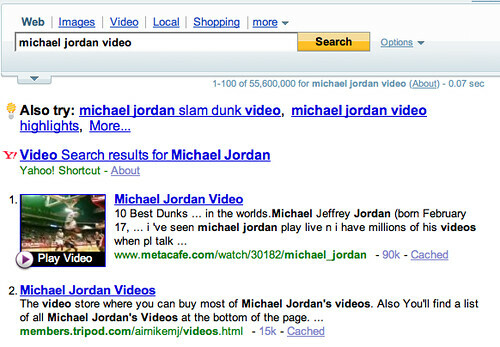 But typically, if you end your search in video, such as Michael Jordan Video, you will get a video result. Interesting how Yahoo is able to embed Meta Cafe's video into their own site, didn't Google have copyright issues with that? Here is the detailed release as a PDF file [1.1MB], plus there is a ton of coverage at Techmeme, including Greg's coverage and Loren's coverage.